Types of Link Removal Requests and Where are We Heading? You are here: Home / Link Building / Types of Link Removal Requests and Where are We Heading? With all those notorious hundreds of thousands of algorithm changes, millions of flags and billions of free testers, Google is helpless. No, I am actually quite serious. 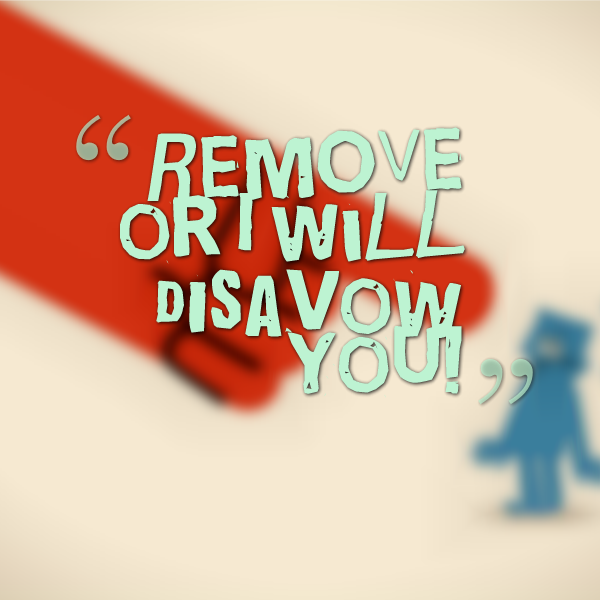 There’s really only one reason why they started all the removal / disavow craziness: They are helpless. Their algorithms are not working against spam and their human reviewers are not enough to clean the web: So they decided to scare the hell out of us to make us help them correct their deficiency. * It’s up to you if you want to be part of their helping brigade. I for one prefer to stay away and just keep doing what I think is right. I am not even blaming them but seeing where it takes the web is sad. People are afraid of linking but if you think about that links are heart, sole and the actual base of the whole web. If we kill links, what’s left? Google *may* be actually meaning good (which is doubtful considering the amount of confusion they seem to be purposely spreading): Stopping spammers is essential but at what cost? I mean aren’t we supposed to write for humans? Aren’t links supposed to be part of our writing, hence don’t they need to be for humans? Why do we need to think if we want to give credit when linking? Why are we forced to think if we are *allowed* to link? This one is worse but still good. This isn’t even the proper DMCA notice! No content is used on the site! 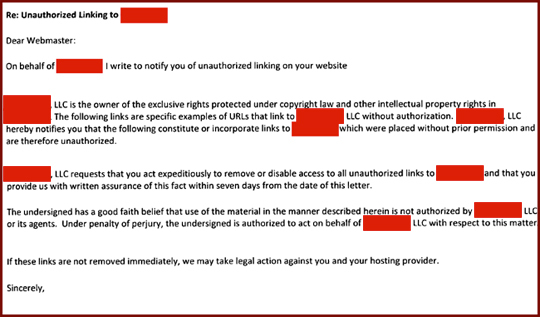 But it’s scary and in my case, my hosting company even threatened me with deleting my files from the web! I’d say this is the dirtiest, yet, sadly most effective. Which have you gotten and what did you do? Ignored? Removed? I know people tried charging money for removing nofollow links. What if you are threatened? “I appreciate you are probably very busy, but ideally it would be great to have these links removed in the next 24/48 hours. Do let me know if there is anything further you need from me. If we do not hear back from you in next few days we will have to take the step of contacting your hosting company as the links are effecting our Google rankings and business. The list of links included 12, all of which were various pages WordPress created off of one post (the post, the author archive page, the author archive page feed, the category page, etc. All over a link they placed in the author bio of a guest post. 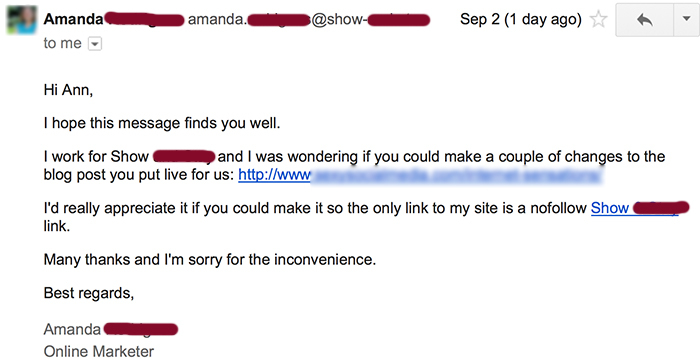 Looks like link removal requests are outsourced to cheap services, so the actual sites haven’t really learned any lesson. First they outsource link building to cheap unreliable services, now they let the same cheap unreliable services email link removal requests on their behalf! Those are great samples to use for removing links. I will be sure to keep these in mind, especially with Google’s Panda and Penguin algorithms. I am sure this will improve a website’s SEO quality as well. Thanks for the tips! I’ve been undertaking a ‘polite’ link removal campaign for one of my clients following placement of many poor links by their former SEO guy and, I have noticed MANY webmasters trying to take advantage of this opportunity by requesting a small payment for removal. Clever yet frustrating, but what can you do? i want to use your service i did not find your email anywhere on your wesbite so i need to post here.